Imagine your children having a large yard to play in and wide steets to ride their bikes in, and lovely homes shaded by 100-year-old Oaks! Then think about how perfect it would be if you had the privilege of boating, water skiing and fishing in the famed Butler Chain of Lakes without the taxes and the maintenance for a lakefront lot! 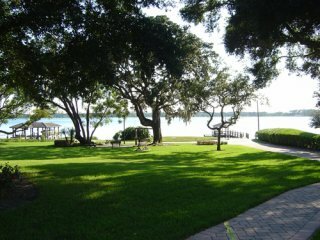 How does this sound... Tennis Courts for adults and children, playgrounds for the young ones and a wonderful sandy beach with a lakeside Gazebo for just relaxing and viewing a sparkling lakefront! And... don't forget a beautiful saltwater Pool in your own back yard (no chemicals!)! Does it sound too perfect ? All of this available for such a small price - but with such a great lifestyle! 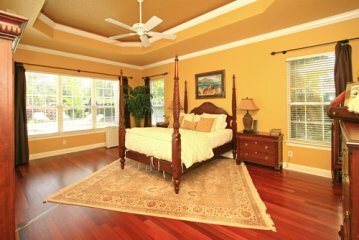 Only minutes away from Disney, Epcot, Universal Studios and all the wonderful things one can do in Orlando! 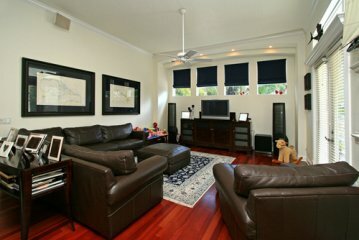 The interior of this beautiful home boasts fine quality throughout! 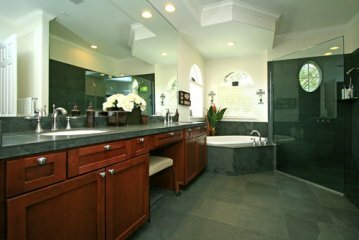 There are rich Brazilian Cherry floors, slate floors and marble floors in baths (no carpeting!)! It is a single story home - so it's easy to live in - and for those who do not want a condominium - but want all the amenities of condominium living - it is perfect! (No stairs! No elevators!) 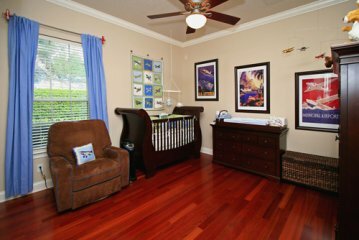 Regardless of age - this home and its wonderful amenities will suit any age! 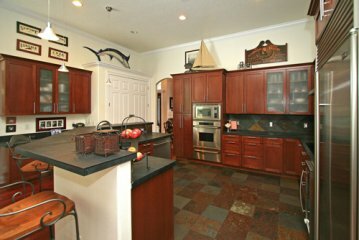 The kitchen offers beautiful slate floors and counter tops over rich Mahogany cabinets. The Breakfast area overlooks the Pool, Terrace and a gorgeous landscape! 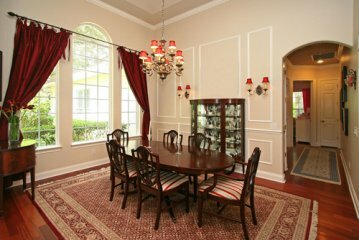 Under the 14' ceilings with extraordinary moldings are additional wall moldings. 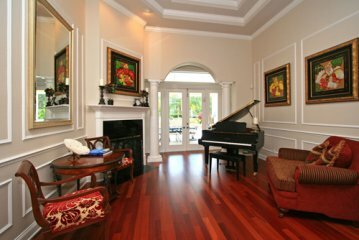 A fireplace in the formal living room adds to the warmth and charm, as do the stately columns. The home has a wine cooler, water purification system in the kitchen, Sub-Zero Regrigerator, - and to make it more energy efficient there are dual pane windows throughout! You will fall in love with the back yard! There are French doors and wide windows (and lots of them!) 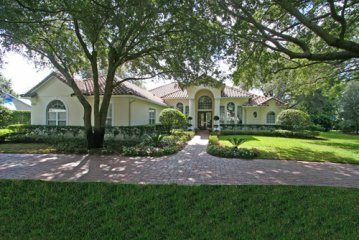 that span the rear of the home and overlooking a gorgeous swimming pool framed by a Travertine marble terrace with 21 stately Palm trees that dance in the breezes! If you are looking for quality finishes, an impressive home on a gorgeous treed lot, and if you love swimming, boating, fishing and water sports - - then this is your home - for just a VERY price! Lot Size: 1 Ac approx.